Even the most cursory search for “foods that cause cancer” turns up a bewildering array of answers. Genetically modified foods. Artificial sweeteners. Processed meat. Red meat. Preservatives. Farmed fish. All animal foods. All cooked foods. All acid-forming foods. All foods that aren’t organic. Foods high in fat. Foods high in protein. Foods high in carbohydrates. Pick your favorite villain; you’ll find someone somewhere claiming it causes cancer. People who insist that the antioxidants and fiber in whole grains protect against cancer. People who completely disagree, on the grounds that grains are acid-forming foods and actually cause cancer, and that the secret is an antioxidant-rich plant-based diet with lots of blueberries, kale, garlic, and tomatoes. People who disagree with both of the above, and insist that antioxidants have nothing to do with it at all: cancer is actually a metabolic disease and the secret to preventing it is a ketogenic diet. People who disagree with all three of the above, on the grounds that fasting, not any particular food, is the secret to cancer prevention because it allows your body to clean up cancerous cells on its own. Then there are the “detoxifying” diets, anti-candida diets, raw vegan diets, juice fasts, and a huge spectrum of other regimens all happy to give you completely contradictory advice on how to stay cancer-free. The evidence for these claims ranges from plausible to the absurd, assuming it’s provided in the first place (sometimes there’s no evidence at all, just a list of foods). Sometimes there are studies that, on closer inspection, don’t actually claim what they’re supposed to support. Sometimes there are preliminary studies where researchers fed extreme amounts of a substance to rats, and this is taken as evidence that much smaller amounts of the substance will have the same effect in humans. Addressing each individual one of these “cancer-fighting” diets would take an entire article by itself, but there’s a more interesting question when you step back to look at the big picture: why is the link between food and cancer so intensely compelling? 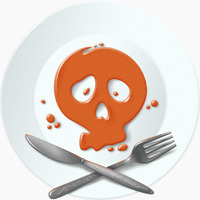 What is it about cancer in particular that spawns so much nutritional paranoia? Why are we so interested in what foods cause it, prevent it, or cure it? Why do we Want a Dietary Answer for Cancer so Badly? Well, for one thing, cancer is significantly more terrifying to most people than most other diseases. A survey by Cancer Research UK found that when people were asked what disease they’re most afraid of getting, cancer easily topped the list at 35%, handily beating Alzheimer’s (25%) and Motor Neuron Disease (a distant third at 7%). Cancer is also mysterious, and it feels very far out of our control. We know some things about some causes of some kinds of cancer (e.g. smoking is a well-known cause of lung cancer), but it’s not a disease like strep throat, where it’s easy to point at one specific infectious. It can appear seemingly out of nowhere, and it can go into remission for no apparent reason. And worse, our treatments still aren’t great. Mainstream cancer therapies – surgery and chemotherapy – are very imperfect and painful even when they do work, and there’s often nothing the doctor can do. Humans don’t like things that are out of our control. We just don’t do well with ideas like “this disease may or may not affect you, to a degree that nobody can predict, for reasons nobody really understands.” We like narratives with a clear cause and effect. And so we go looking for them – psychologically, it feels good to be “certain” about what “causes cancer” because that means you can do all the right things and avoid all the wrong ones, and that makes you (and your loved ones) safe from this terrifying disease. Diet is a convenient place to lay the responsibility for “causing” or “preventing” this mysterious disease that we so desperately want to find a cause and a cure for. It’s something anyone can change, so it satisfies that need for something we can control. We all know that diet is important for health, so it seems reasonable that it would affect cancer risk as well – and in fact, there’s a huge amount of research on diet and cancer. But the disconnection between what the scientific literature actually shows and what the advocates of nutritional cancer therapies claim is amazing. 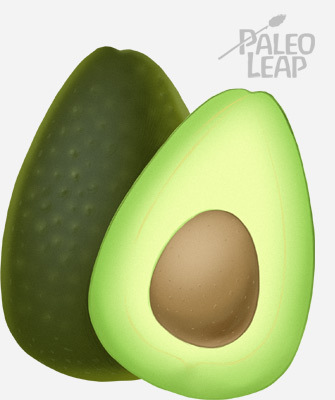 Avocados are nutritious, but they won’t necessarily save you from cancer just because antioxidants isolated from them can kill cells in a test tube. containing much lower levels of those chemicals will prevent cancer in actual humans. Studies in animals may or may not apply to humans. Studies showing an association between eating Food X and cancer don’t prove that Food X causes cancer. Studies showing an association between eating Food Y and not getting cancer don’t proof that Food Y prevents cancer. When we look for foods that cause or prevent cancer, we’re looking for absolute security: eat this, and avoid this, and you’ll be safe. The actual scientific evidence doesn’t support anything like that. Once again, none of this is an argument that diet has nothing to do with cancer. There probably is a relationship, even if we don’t know precisely what it is. Some dietary strategies – like eating a lot of antioxidant-rich plant foods – are probably healthful or at least harmless regardless of whether or not they prevent cancer specifically. But before asking “what foods cause/prevent/cure cancer,” it might be well worth asking “why do I want my diet to prevent/cure cancer in the first place? Are my expectations reasonable? Am I looking for something that food can’t give me?” Part of an interest in diet and health is knowing where the limits are. Diet can’t make you immortal; it can’t keep you safe from all diseases just because you want it to. Looking to food for absolute security from cancer or anything else is a fool’s errand, and you have better ways to spend your time and energy.